Congratulations! 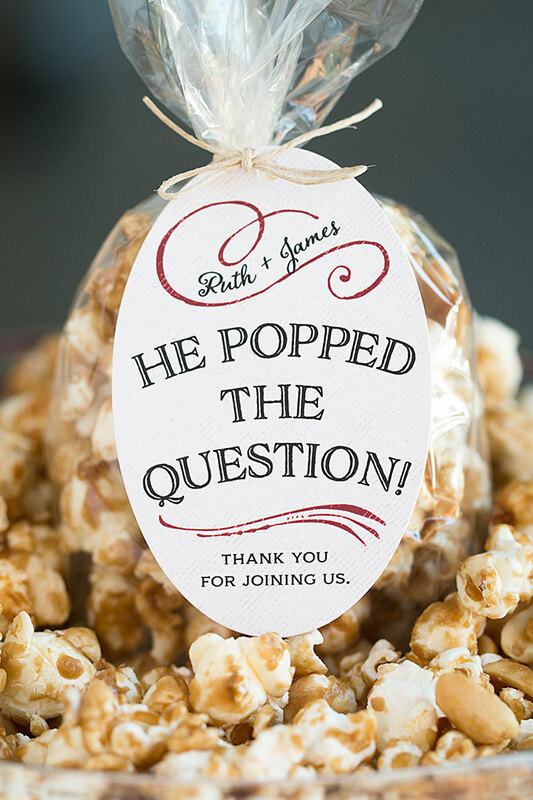 He popped the question, and now you’re getting hitched. 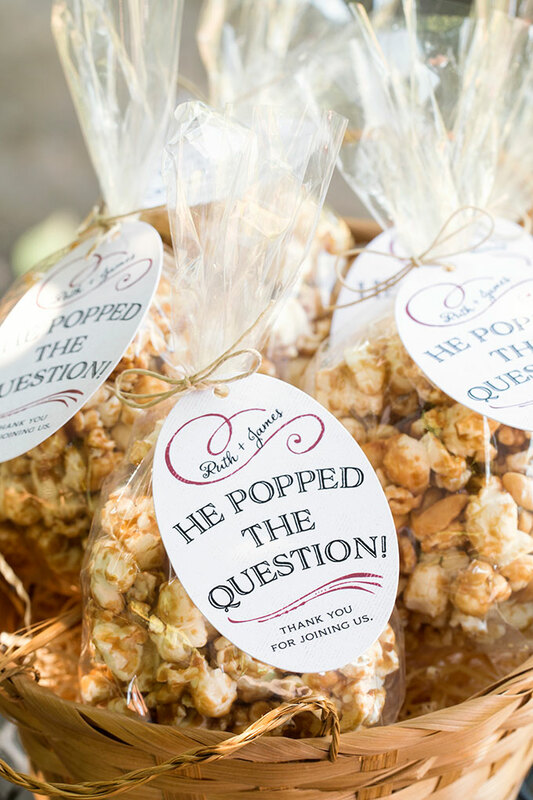 Share the sweet love with your nearest and dearest with these golden caramel corn wedding favors packaged in cellophane bags with sweet, personalized favor tags. 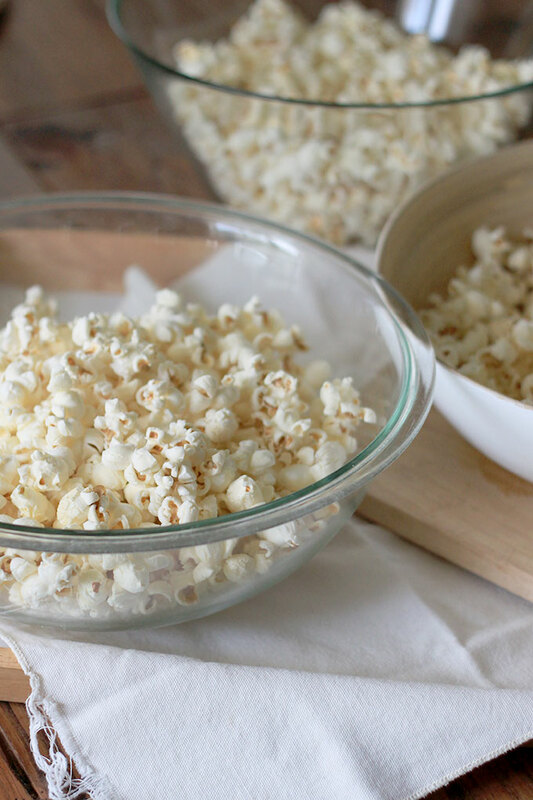 We’ve included our favorite recipe for caramel corn because it’s super scrumptious and easy to make at home, but you could use caramel corn, kettle corn or any other flavor of popcorn you like, whether it’s homemade or not. Divide your freshly popped popcorn into two or three large vessels. This will make stirring and distributing the caramel much easier. 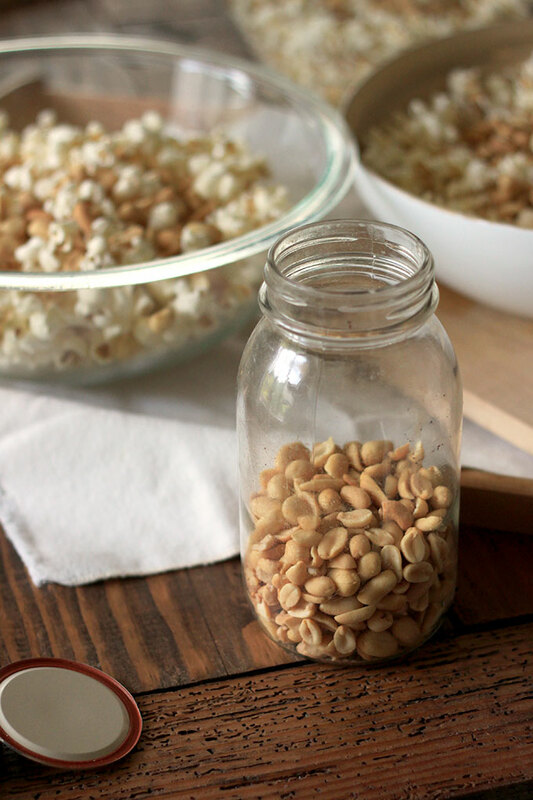 Add a handful of roasted peanuts to each vessel (optional). Preheat oven to 250 degrees Farenheit. Line two cookie sheets with parchment paper and set aside. In a medium saucepan over medium heat, add the butter, brown sugar, corn syrup and salt. Bring to a boil, and allow mixture to continue boiling for four minutes, stirring constantly. Remove from heat and add baking soda and vanilla. Pour evenly over popcorn kernels and stir immediately before mixture begins to cool and harden. 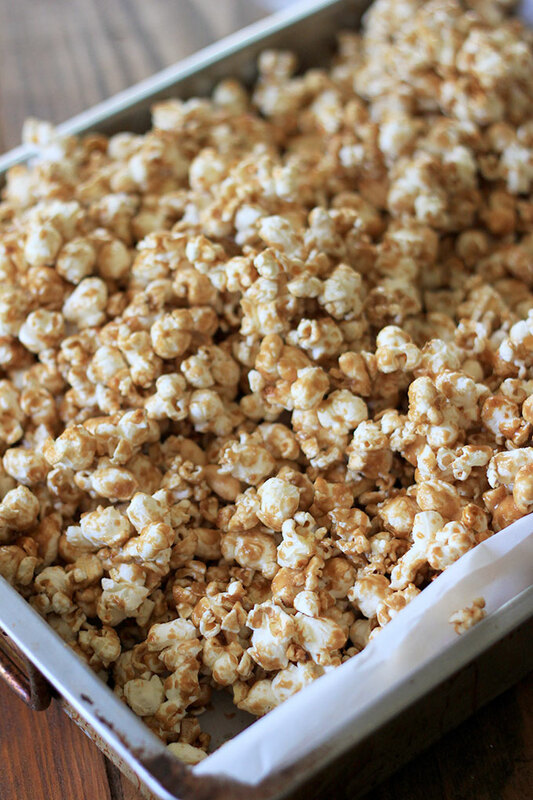 Spread caramel coated popcorn over cookie sheets and bake for one hour, stirring every ten to fifteen minutes, and until it reaches desired level of crunchiness. Remove from oven and let cool completely before packaging. Break into smaller pieces and package in medium sized cellophane bags. 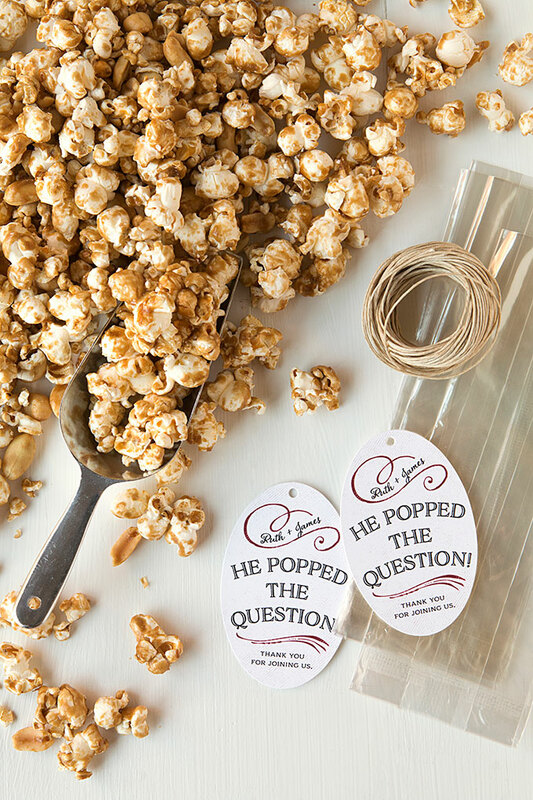 Secure with twine and add personalized favor tags. Large Oval Hang Tags • I chose the “Joy of Scrolls” style in deep red. Cellophane Bags • I chose the small size.